The Wharf (Holdings) Limited was founded in 1886. The Murray Building was built in 1969 and The Murray, Hong Kong is opening in early 2018. Mr. Duncan Palmer, Managing Director of The Murray, Hong Kong. Originating from the UK, he is one of Asia and Europe’s most reputable and entrepreneurial luxury hoteliers with over thirty-five years’ experience. He has held various senior management roles in luxury hotel groups worldwide including the Mandarin Oriental, The Savoy and The Langham Hotel. He was appointed as Managing Director of The Murray, Hong Kong, on 1 June 2016. 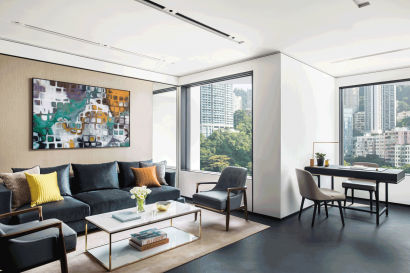 He is inspired to transform The Murray Building to be ‘The Matterhorn of all hotels’ in Hong Kong with the rest of the appointed team in line with the owner’s aspirations. Backed by a long-standing mission of “Building for Tomorrow” and a proven track record in management and execution, The Wharf (Holdings) Limited has produced consistent and productive performance over the years. The Group also owns a fast expanding hotel portfolio under Wharf Hotels. The Group’s new luxury brand, Niccolo, is a unique representation of sophisticated urban chic hotels. It has proven to be a resounding brand and business success. Opened at Chengdu IFS in 2015, the first Niccolo has garnered a host of prestigious awards, affirming the success of the brand evolution. Part of Hong Kong’s Conserving Central Project, the Hotel which was the stand-alone Murray Building is one of the city’s most iconic landmarks. The Murray Building was built in 1969, winning multiple awards in its heyday for ground-breaking and energy efficient design. Sir Norman Foster and his team at Foster+Partners have accepted the challenge to re-design the architectural and interior finishes and is now bringing this magnificent building to life as a celebration of the past and future. The Murray, Hong Kong, a Niccolo Hotel unveils its new design by Foster + Partners, a global studio for architecture, urbanism and design. Set to redefine the luxury hospitality scene when it opens in early 2018, the iconic landmark will be transformed into an international luxury hotel. The Murray, Hong Kong soft opened in early 2018. 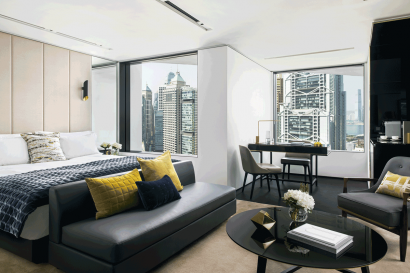 Located on legendary Cotton Tree Drive in the heart of Hong Kong, The Murray will open as the city’s newest, luxury iconic landmark hotel. This contemporary urban chic urban sanctuary will feature 336 sophisticated spacious suites and guest rooms across 25 storeys, coupled with premier wellness facilities, five elegant dining destinations including a glamorous rooftop restaurant and bar with panoramic views. The hotel’s terraces around the arches, an architectural signature of the building also showcase views of the city, Hong Kong Park and Hong Kong Zoological and Botanical Gardens. The Niccolo Room on the 25th floor will be the city’s newest and most desirable event space for banquets, events and weddings with a capacity to seat 240 guests and receptions for up to 350. Additionally, there will be six smaller boardrooms all featuring natural light. 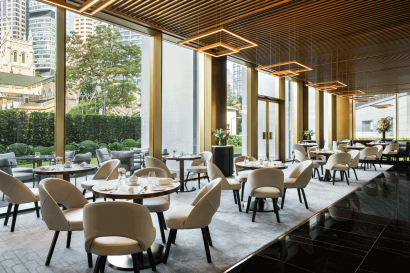 Located along legendary Cotton Tree Drive in the heart of Hong Kong, The Murray is now open as the city’s newest, luxury iconic landmark hotel. 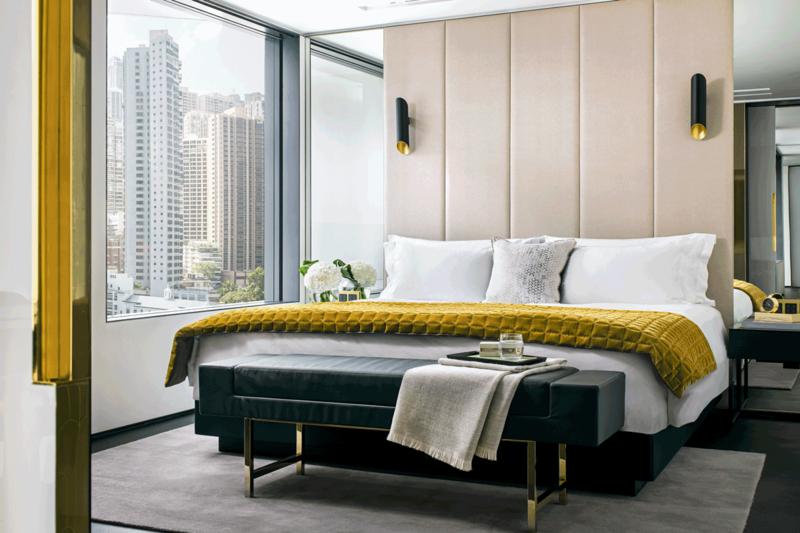 This contemporary urban sanctuary features 336 sophisticated spacious suites and guestrooms across 25 storeys and five elegant dining destinations including a glamorous rooftop restaurant and bar with panoramic views. 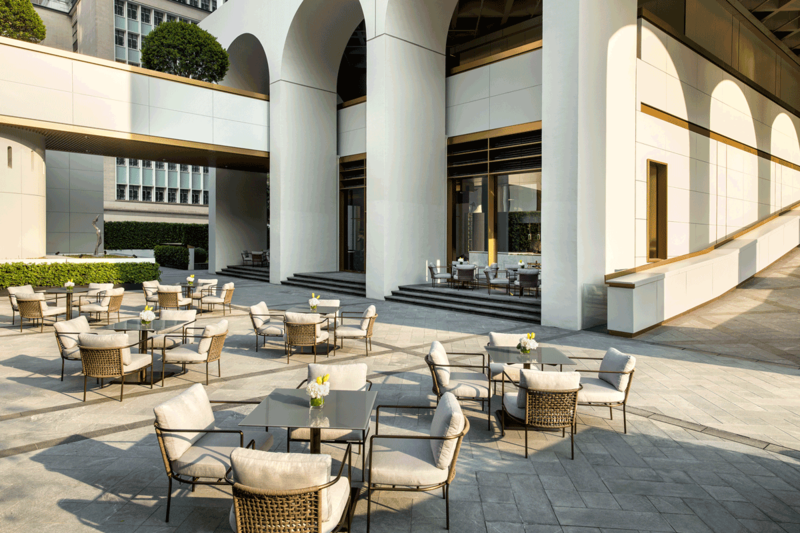 The hotel’s terraces around the arches, an architectural signature of the building also showcase views of the city, Hong Kong Park and Hong Kong Zoological and Botanical Gardens. Adjacent to The Murray, Hong Kong is the Peak Tram Terminal, where guests can take one of the world’s oldest funicular railways to Victoria Peak and enjoy a fabulous panoramic view of Hong Kong Island and Kowloon. PMQ was built in 1951 as the Police Married Quarters. In November 2010, the HKSAR Government announced the plan to preserve the site for creative industries uses. PMQ is a creative retail hub, home of more than 100 emerging local young creative-preneurs. Dozens of small galleries and shops local handmade jewelry, leather goods, prints, clothing, housewares and more, making PMQ a terrific place to hunt for unique souvenirs. Hollywood Road in Central is lined with galleries and antique shops offering ancient and contemporary, Asian and Western works. A very different expression of creativity can be seen in the form of art and graffiti on the walls of the many little alleys leading off the street. Lan Kwai Fong is one of Hong Kong’s most popular nightlife hotspots and home to over 90 restaurants and bars. The atmosphere ranges from stylish wine pairings on rooftop bars to heaving discotheques. The food and drinks on offer are as diverse as the clientele. Defined by its distinctive three-storey arches and unique recessed windows, the hotel’s original structure was designed by British modernist architect Ron Phillips in 1969, and is seen as an early pioneer in sustainable and energy efficient design. 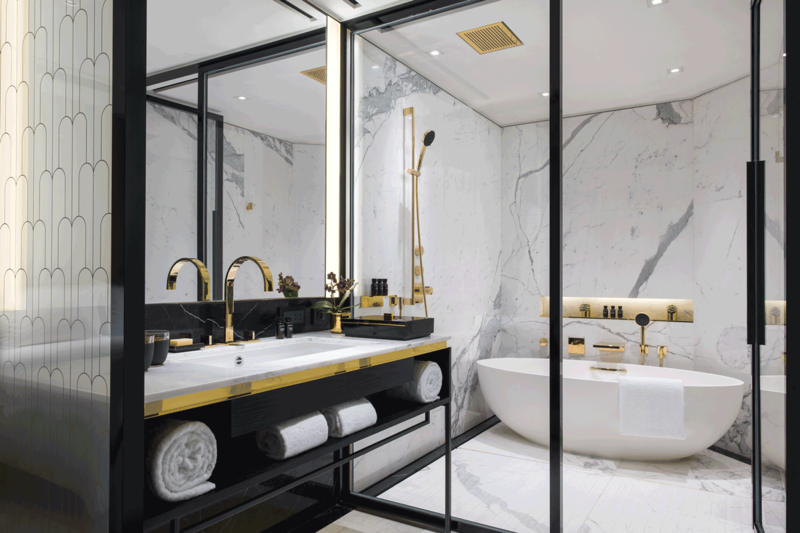 Led by Colin Ward in Hong Kong and Armstrong Yakubu in London, Partners at Foster + Partners, the new design retains elements of tradition and adapts to the needs of sophisticated contemporary living and discerning global travelers. The Hotel’s design takes advantage of the building’s geometry to create uniquely orientated room layouts that will give The Murray a distinctive character. The base of the building, once meant solely for the motor car, has been reinvented to link with the surrounding landscape, together with a series of social spaces, all under the arches. We are a children friendly hotel. The 25-storey hotel offers some of Hong Kong’s most spacious rooms and suites with more than 75% at 50 square meters or grander. Each of The Murray’s 336 oversized accommodation offers floor to ceiling, uniquely recessed windows allowing abundant daylight without direct heat from the morning sun, an architectural feature which has won countless awards for ground-breaking and energy-efficient design. Surfaces are covered with rare stones, leather and textiles creating sophisticated urban chic sanctuaries in the heart of the city. N1 Deluxe: 47 square meter Deluxe rooms feature the hotel’s unique recessed windows which allow abundant daylight, yet without direct heat. Elegantly appointed in muted earth tones with designer furnishings and plush area rugs, the spacious rooms offer seamless technology including complimentary high-speed Wi-Fi, broadband internet access, and bedside lighting controls. N2 Grand: The contemporary-styled interiors of our 50 square meter Grand Rooms are accented with plush carpets on beautiful hardwood floors while surfaces are covered with rare stones, glass, leather and textiles. The elegant rooms offer seamless technology including complimentary high-speed Wi-Fi, broadband internet access, and bedside lighting control. 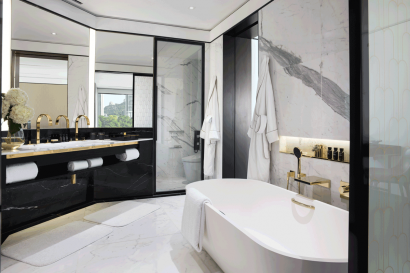 Grand Rooms feature luxurious bed and bath amenities with separate bath and shower facilities in black and white marble. N3 Grand Deluxe: Offering unobstructed vistas of the adjacent St John’s Cathedral, the 50 square meter Grand Deluxe Rooms are thoughtfully designed with contemporary interiors accented with plush carpets on hardwood floors while surfaces are covered with rare stones, leather and textiles. The elegant rooms offer seamless technology including complimentary high-speed Wi-Fi and broadband internet access, Smart TV and bedside lighting control. Luxurious bed and bath amenities, separate bath and shower facilities in black and white Calacatta marble are accompanied by a host of complimentary amenities offering a perfect getaway experience. 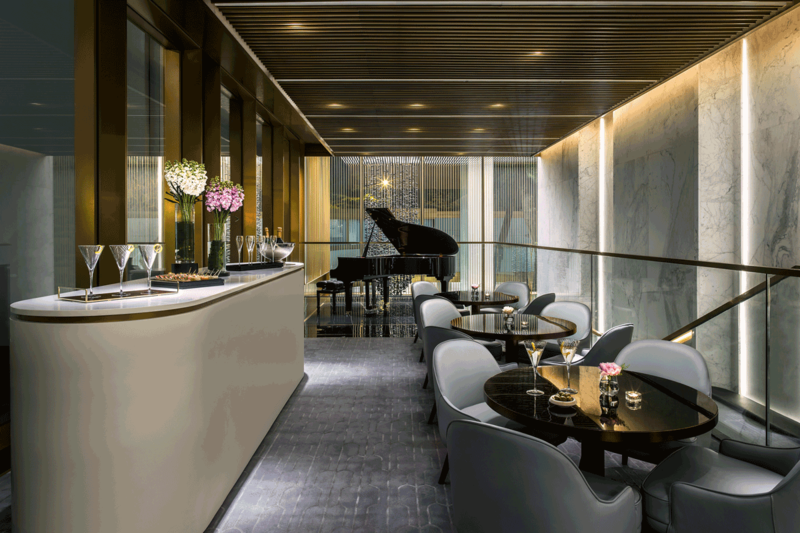 The Murray, Hong Kong, a Niccolo Hotel, will debut four world-class restaurants and bars when the hotel opens in early 2018. 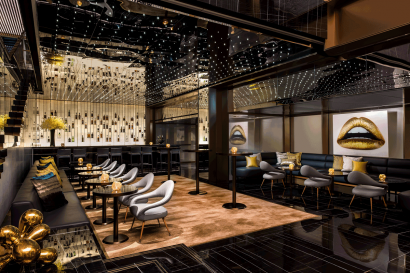 In addition to Guo Fu Lou, the hotel’s restaurants and bars will showcase local and international flavours inspired by diverse culinary traditions. Destined to be an exciting new lifestyle destination, the highly anticipated hotel will offer a variety of gastronomic and entertainment experiences to inspire guests and excite gourmands. Poised to be Hong Kong’s go-to bar venue, Murray Lane will offer an intimate setting for after-work gatherings. Open throughout the day, Garden Lounge brings a contemporary twist to the elegant tradition of afternoon tea. 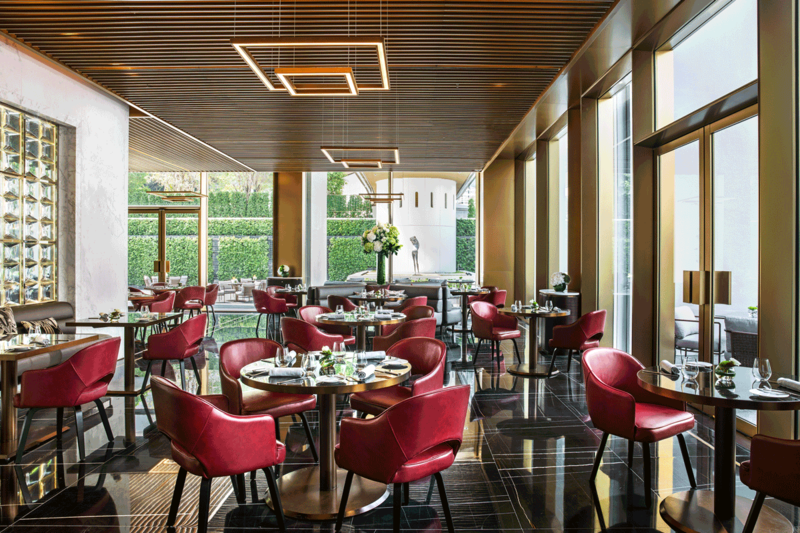 Set to become the venue of choice for modern European cuisine, The Tai Pan will showcase the finest seasonal ingredients. Crowning the hotel’s top floor, Murray on The Roof will be the social epicentre for the city’s movers and shakers. 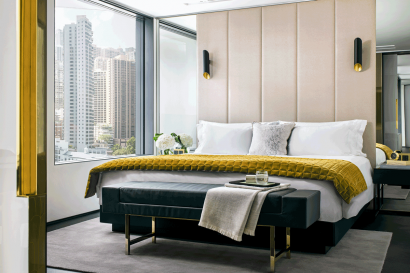 Well-being at The Murray takes an unconventional twist with the in-room wellness guide, a convenient reference to inspire a healthier lifestyle while in Hong Kong. From the best jogging trails through the vicinity’s green parks to specially designed gym exercise programs and super food menus, keeping fit while at The Murray is completely stress-free. 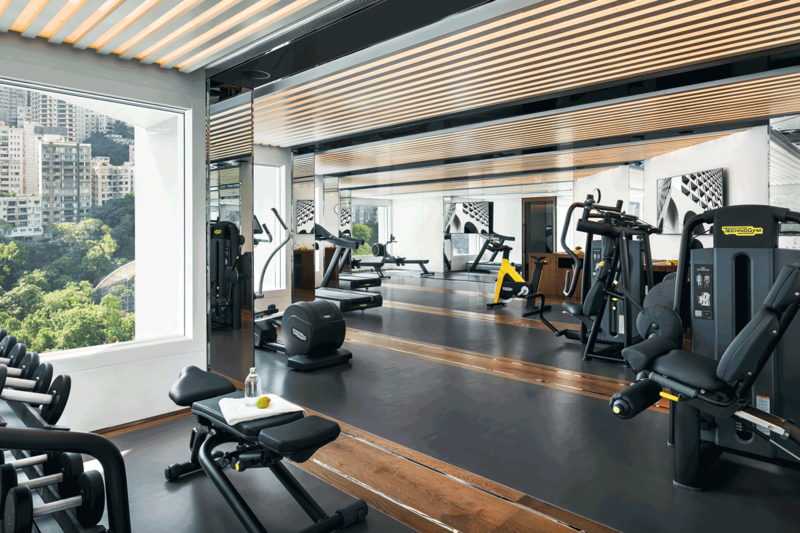 From state-of-the-art fitness facilities on site, to outdoor boot-camps, yoga and tai chi sessions, The Murray also offers the option of bespoke menus catered to each individual’s optimal nutritional needs. Guests looking for additional pampering may rejuvenate with half or full day customised rituals in one of the five well-appointed spa suites, followed by a dip in the indoor contemporary urban chic pool. The Murray, Hong Kong, a Niccolo Hotel, will debut over 1,900 sqm of exclusive meeting and event spaces that are destined to become Hong Kong’s go-to venues. In redesigning the landmark building, global architectural and design studio Foster + Partners has honoured the building’s rich history by retaining a signature feature, the former driveway that circled the building beneath the iconic three-storey imposing arches. The one-of-a-kind space will be transformed into a semi-alfresco venue, named The Arches, that will welcome over 500 guests. With idyllic views of Hong Kong Park and St. John’s Cathedral, The Arches will provide a blank canvas for creative events, from fashion shows and luxury automotive showcases, to exhibitions, cocktail parties and social gatherings. Complementing The Arches is the adjacent Cotton Tree Terrace which spans 130 sqm, providing a relaxed setting for casual events for up to 100 guests. At the Hotel’s Garden Level (UG/F), The Murray Lawns are beautifully landscaped and offer 150 sqm of event space that can accommodate up to 125 guests. It will be the location of choice for exclusive soirees and private parties. Embodying the contemporary sophistication of the Niccolo brand, the Niccolo Room situated on the 25th level reflects timeless style with a subtle palette of neutral tones and gold accents. Ideal for conferences, galas or weddings, this flexible venue can be partitioned to create a pre-function room and up to eight individual spaces, each outfitted with wall panels that slide back to reveal 65” flat screen televisions. 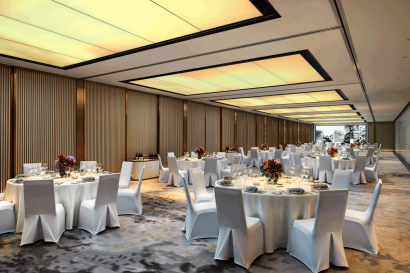 Taking event spaces to new heights, Murray on The Roof will offer panoramic views of The Peak and Hong Kong’s stunning city skyline. The focal point of the 355 sqm restaurant and bar venue is The Aviary, a private dining room with a striking glass façade and lofty interiors that will accommodate up to 12 guests surrounded by the rooftop terrace, perfect for al fresco entertainment.